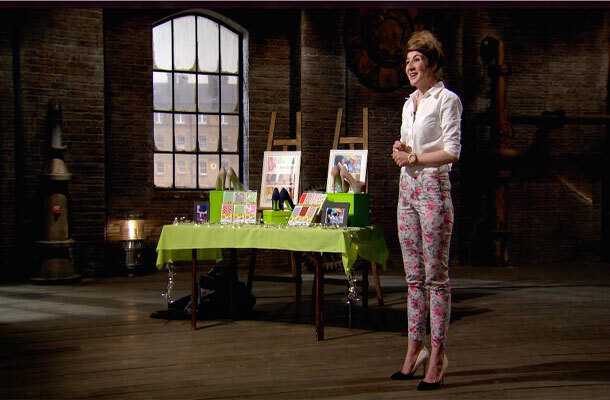 It’s hard to believe it but we’re halfway through the second half of series 12 of Dragon’s Den already. There’s no let up in the interesting IP coming up in the Den this week and there is a distinctly designer feel to tonight’s episode. As a lover of all things theatrical I was immediately taken with Charlotte King’s dramatic entrance into the den. Dancing up to the Dragons looking for an investment in her business Shoelicks; designing stickers for personalising the soles of shoes. Inspired by the iconic, trade marked, red sole of Christian Louboutin Charlotte wanted to create a similar look for a more affordable price. Something to appeal to fashion conscious shoppers who don’t have the designer budget. All the stickers on sale through Shoelicks are Charlotte's own original, unique designs. Charlotte King looking for an investment in her business Shoelicks. Designs are automatically protected by design rights. These can protect your design in the UK for 10 years after the design was first sold or 15 years after it was created, whichever is earliest. In Charlotte’s case she would have automatic European design right for three years, but could also register her designs. Registered designs offer more protection and protection lasts up to 25 years. A registered design can be the source of an ongoing revenue stream for the business if it licenses its designs. Without a registered design the business may struggle to successfully license its design to others. Ryan Donaghy was also hoping to dazzle the Dragons with a new design. This time in the form of a slim line designer electric toothbrush. We’ve already seen how registering a design can protect the look of a product. 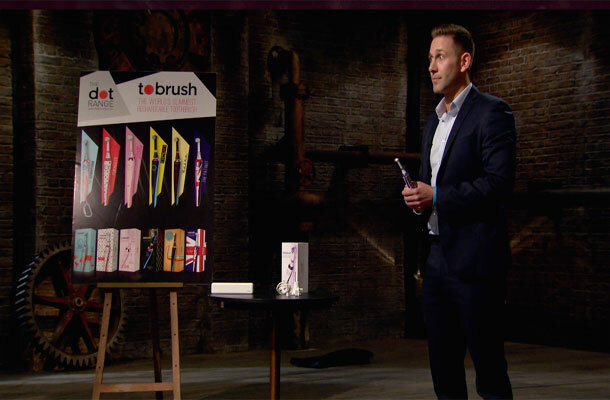 In Ryan’s case the Dragons worried about how he would compete with the large, well established brands already successful in the toothbrush market. Duncan Bannatyne decided that the competition from those big companies was too big a risk for him to invest. You’re up against big competition and I see nothing that’s unique enough about it and in any case the other players could copy. Ryan Donaghy in the den. Paula talked about the power of brands in last week’s blog . Registering your company name or logo as a trade mark allows you to use them to promote your business. This also helps establish a loyal customer base and good reputation. This can help give peace of mind that nobody else can trade in on your good name. This is something that Oral B® and Phillips® have done successfully in this industry. Ryan would benefit from applying for a trade mark to protect his business name and logo and help him build his reputation in the same way. As long as the mark doesn’t directly describe your goods and services and isn’t being used by anyone else in your industry, then it may be possible to register it. Like the Dragons, the final pitch of the episode from Levi Young and Dana Zinger caught my attention. Their business Enclothed is run entirely via their website offering a personal shopping service aimed at men. Websites are protected by copyright. Copyright is an automatic right assigned to the creator of any original material that is created and recorded in a material form. Anything that is written down, recorded audibly or physically crafted. All the content used on a website is owned by somebody. If you hire a subcontractor to design and build your businesses website, then they, in the absence of an IP clause in the contract will have ownership of it. It’s important therefore to ensure the copyright in any material created by a third party is assigned to you. If Levi and Dana’s professional pitch is anything to go by I am sure that they have thought all these issues through. If they haven’t or if any of you are confused about where to start with protecting your IP, the IPO have developed a range of business tools designed to help.